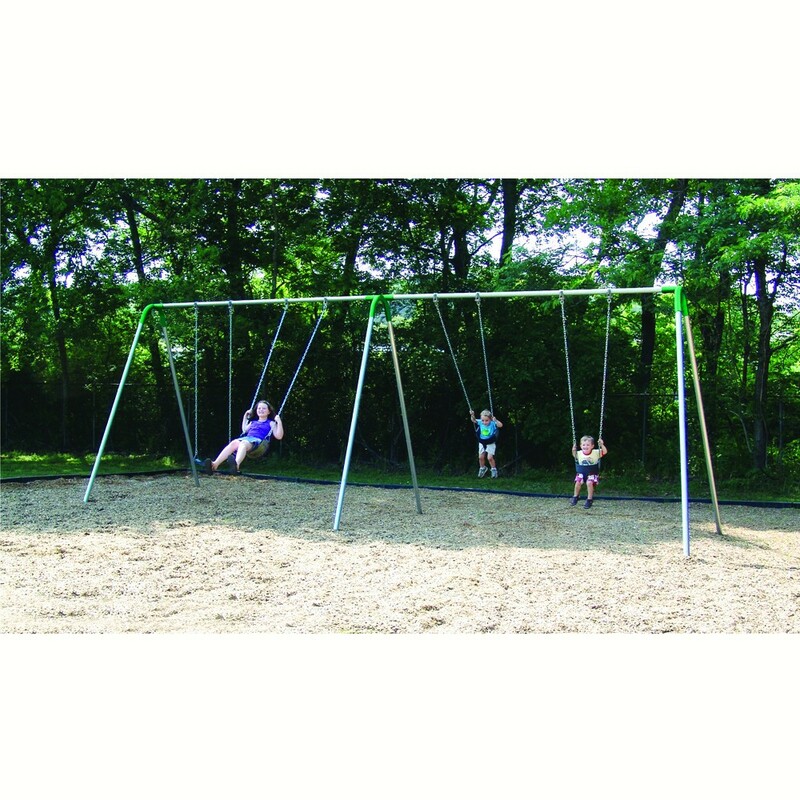 The UltraPlay Freestanding Double Bay bipod swing set features an 8 ft. high x 2 ft. 3/8 in. diameter galvanized pipe top rail with 2 ft. 3/8 in. diameter legs, and powder coated green or blue yoke fittings. All of the kids will want to swing on this swing set. It is a great addition to any play set that needs more swings. Child (Bucket) seats add extra safety for younger children.